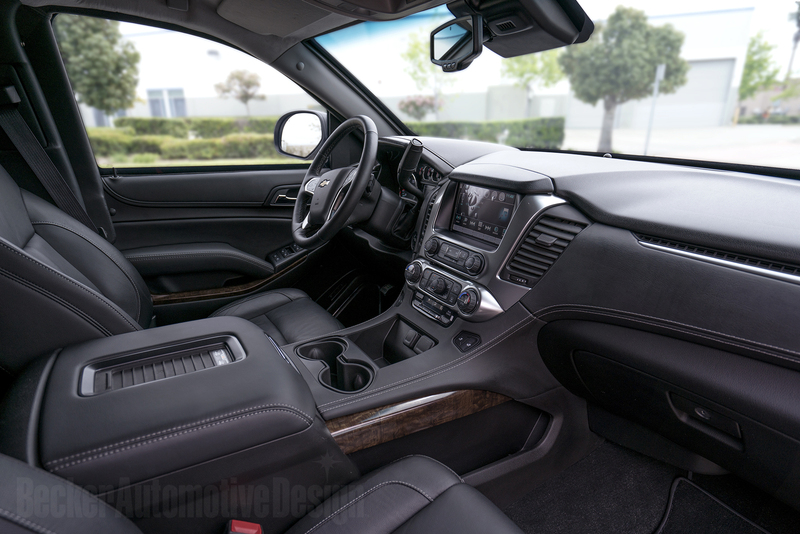 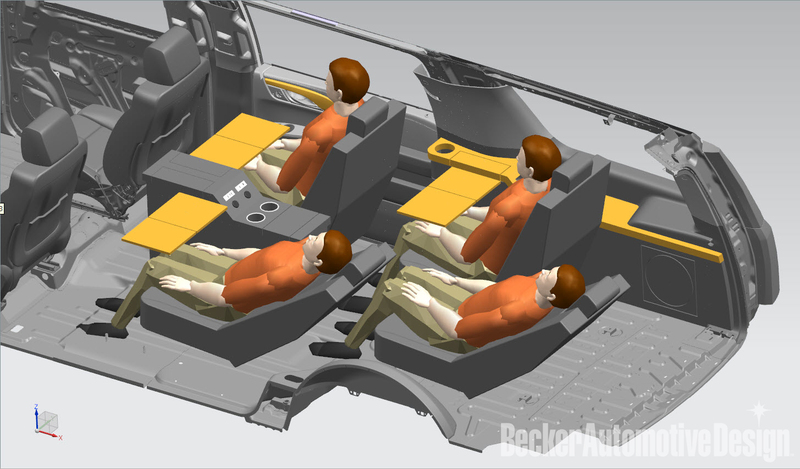 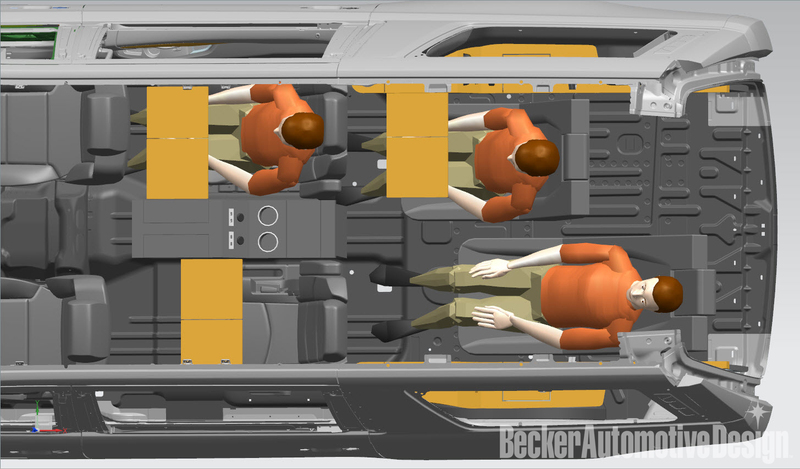 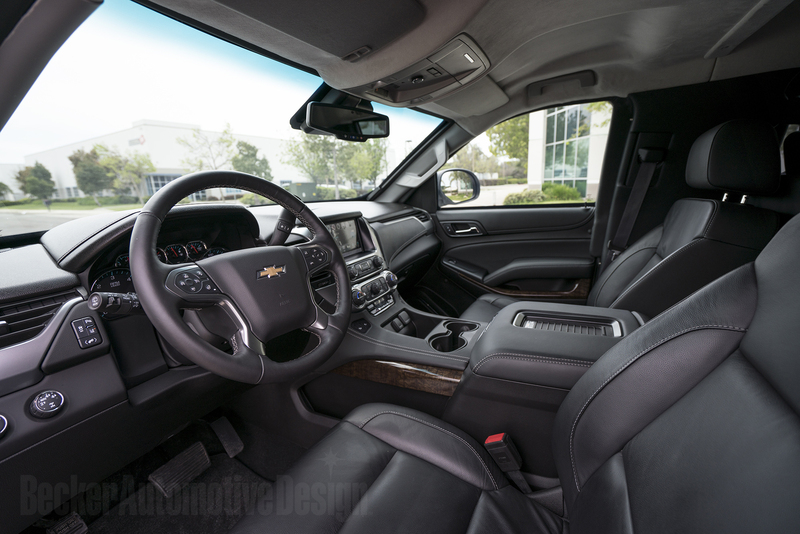 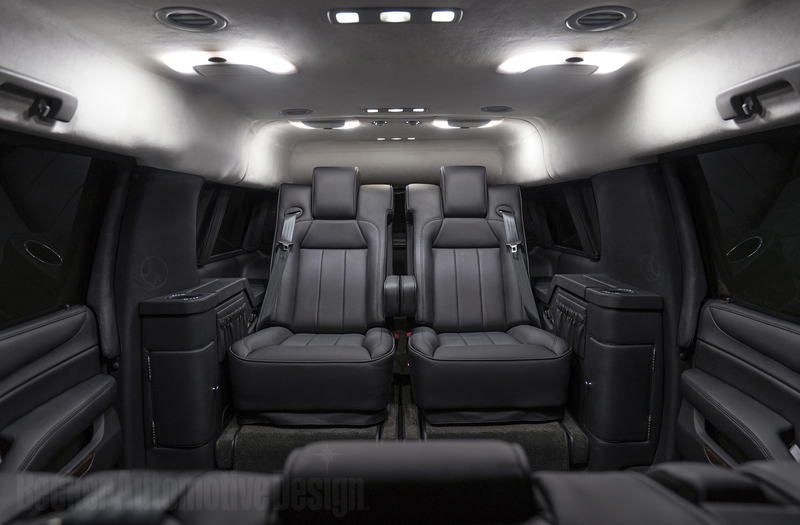 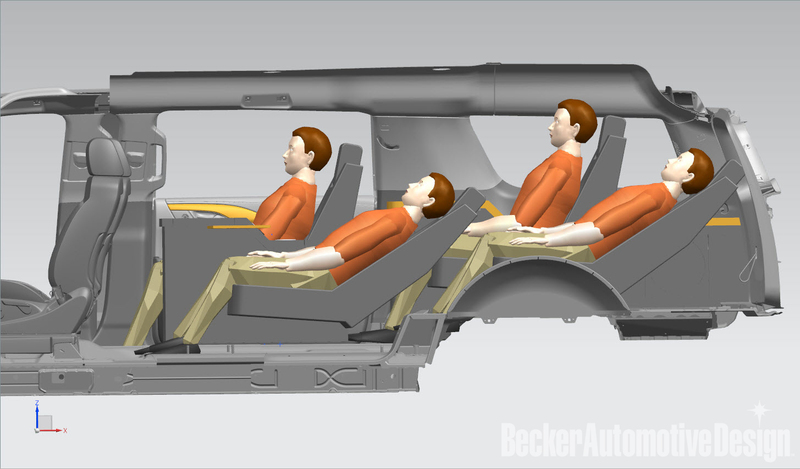 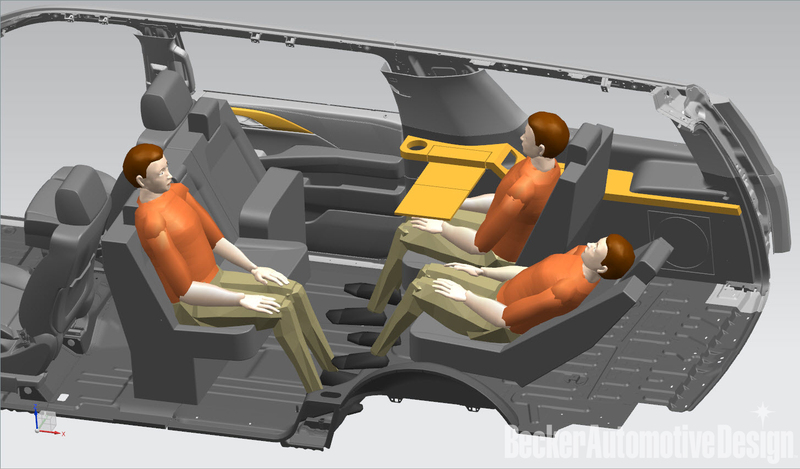 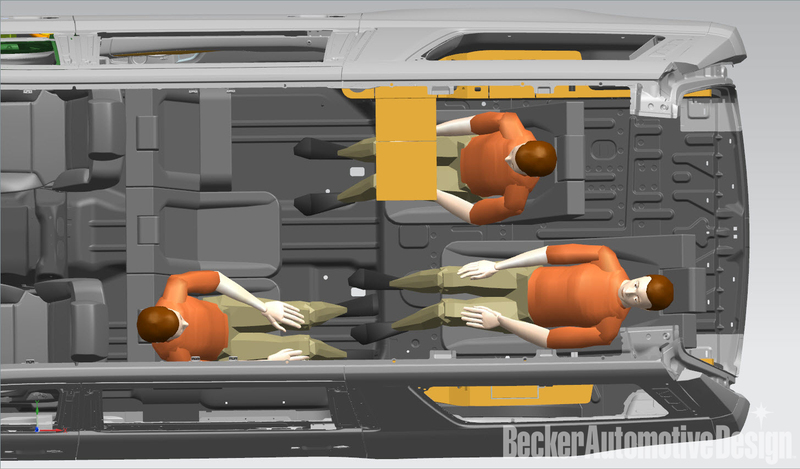 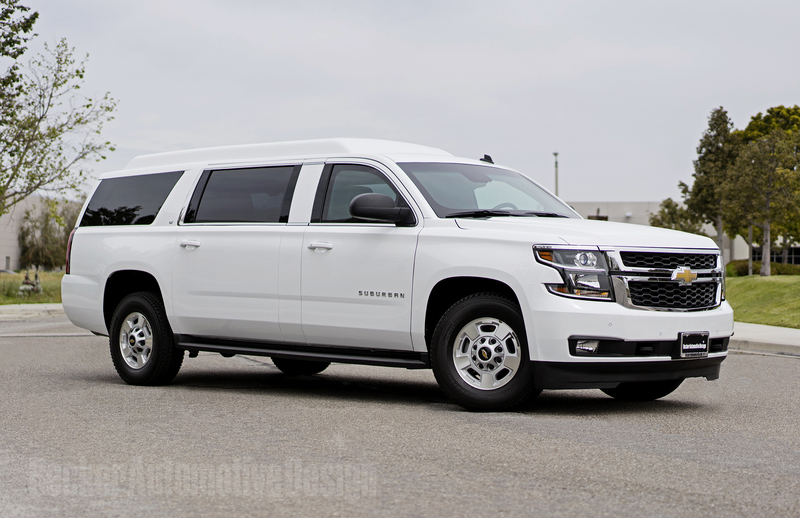 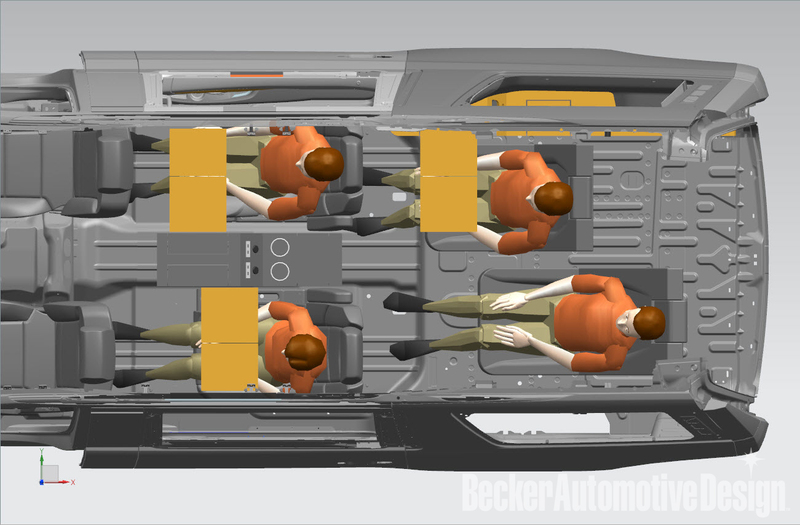 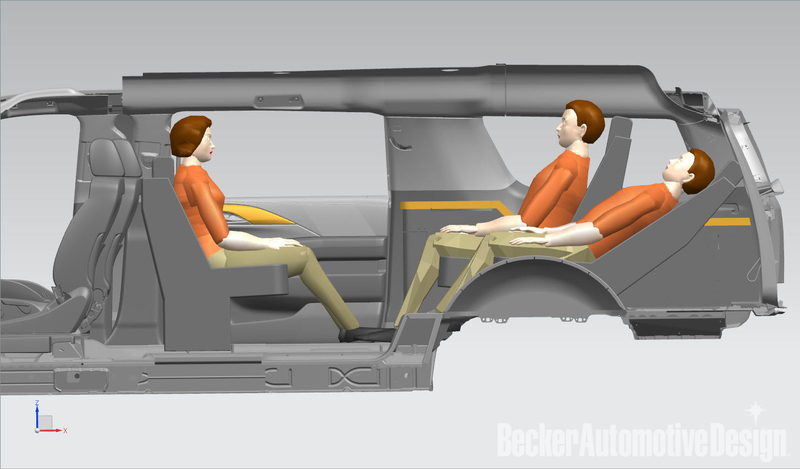 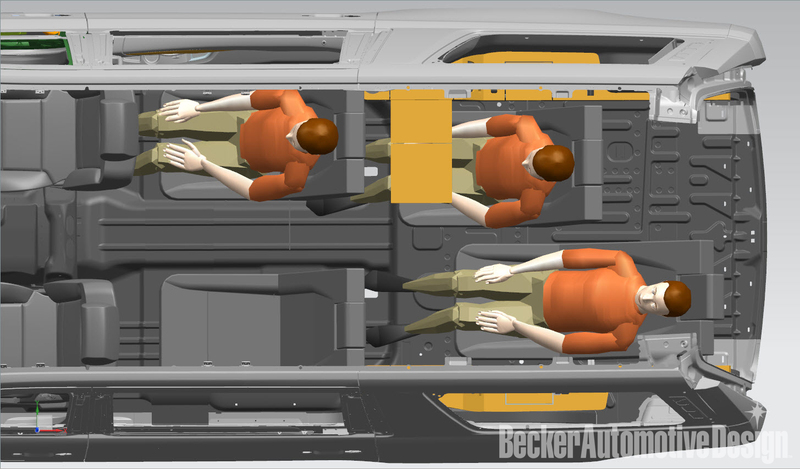 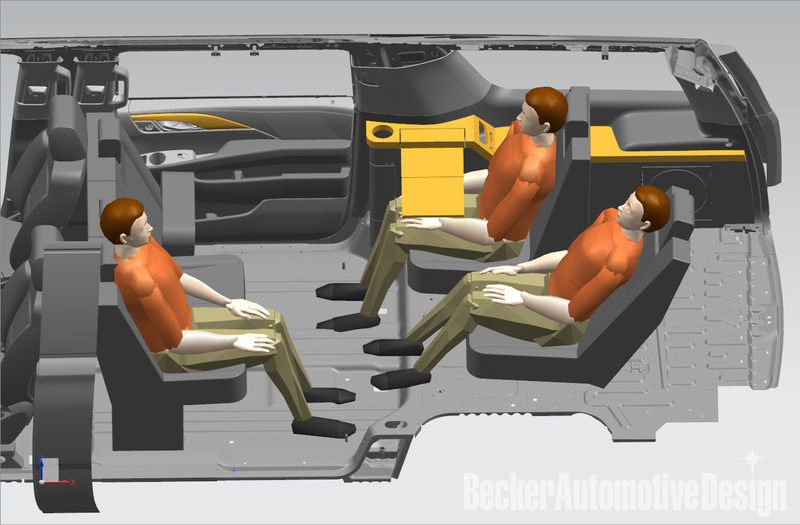 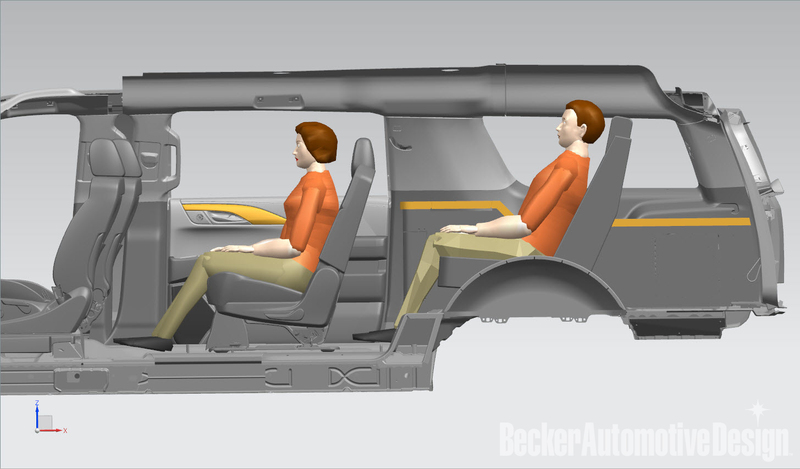 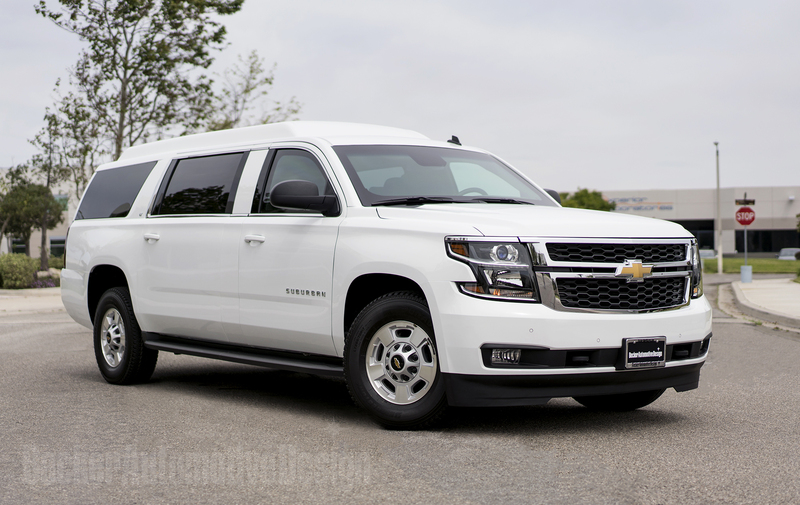 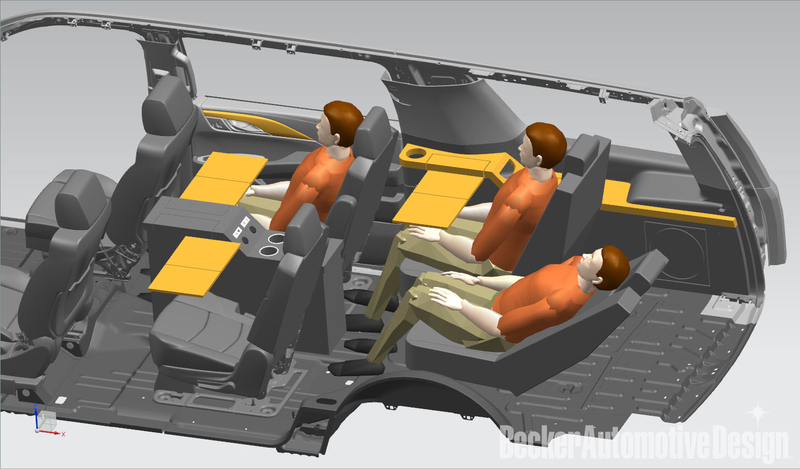 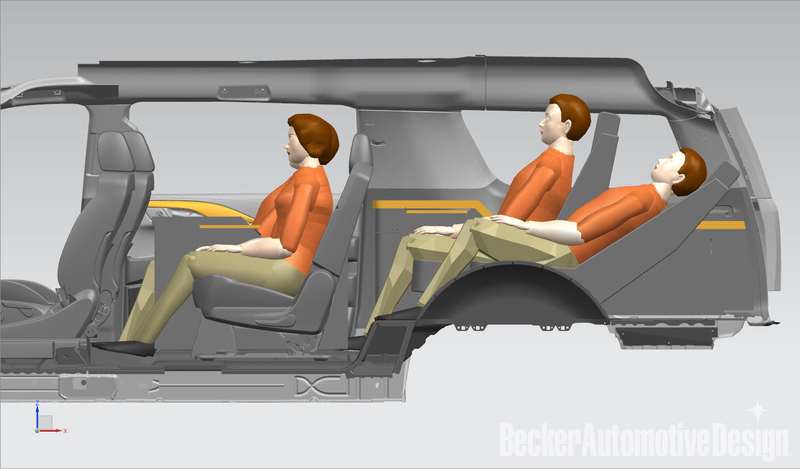 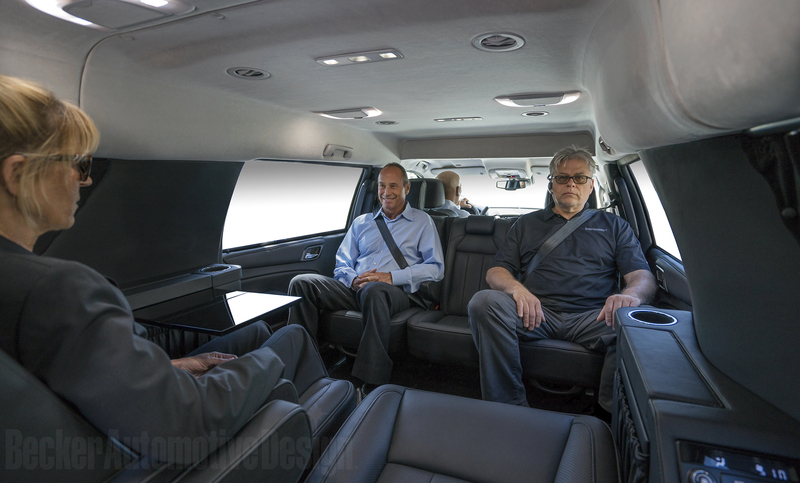 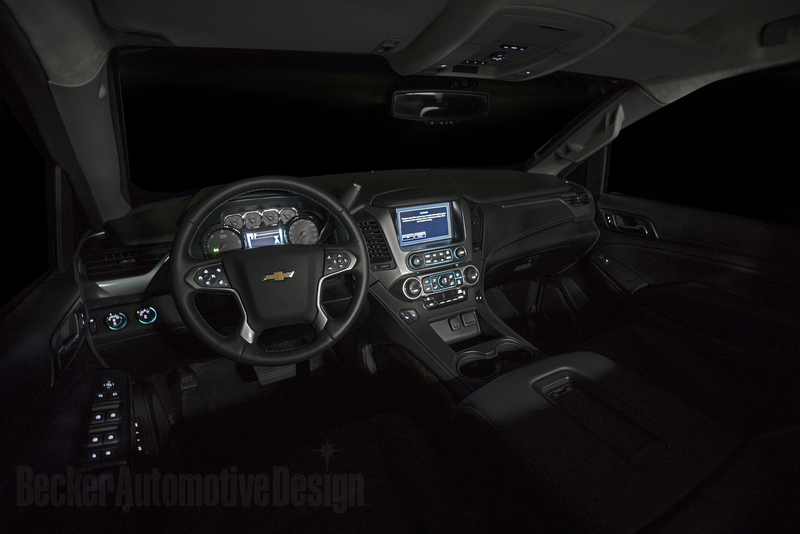 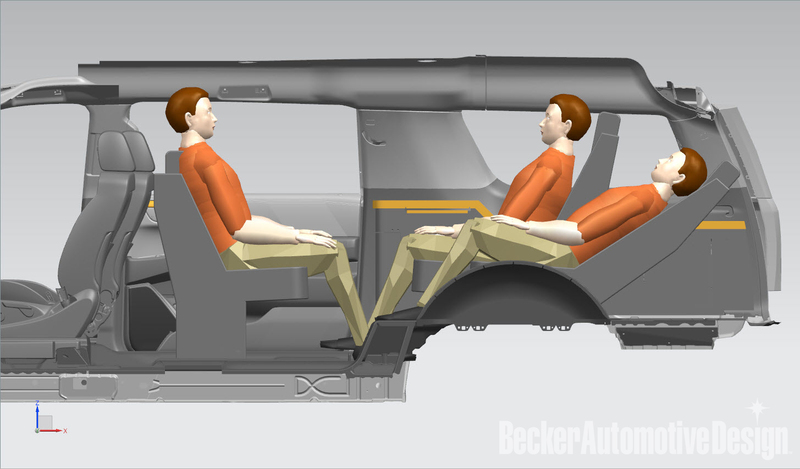 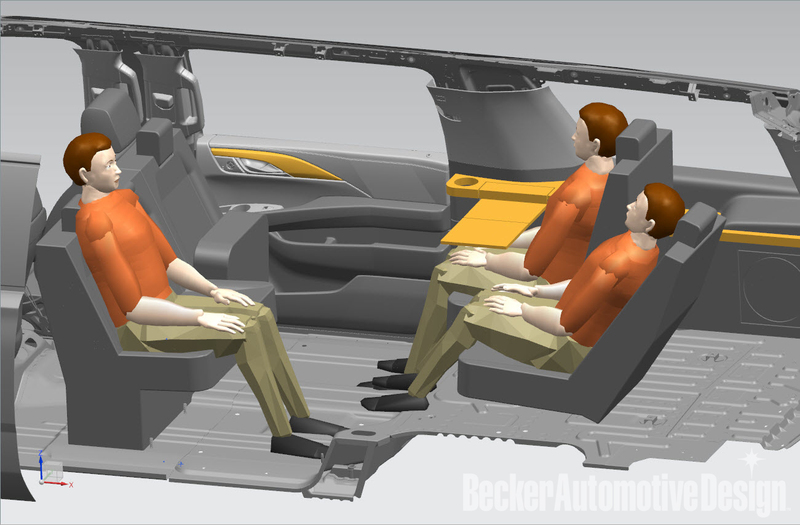 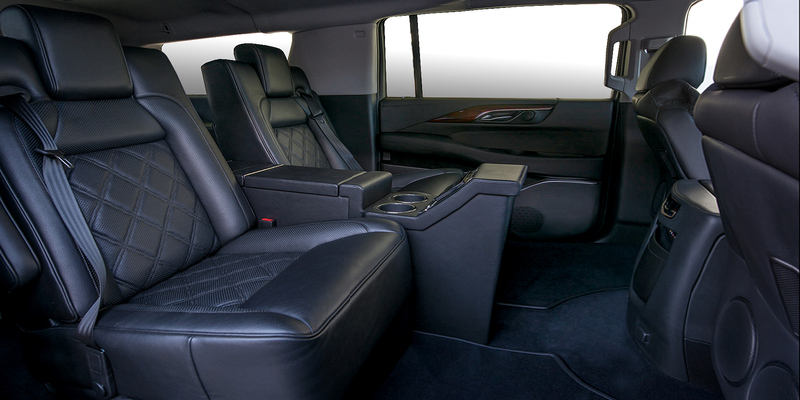 Becker Automotive Design never loses sight of our customer's individual needs. 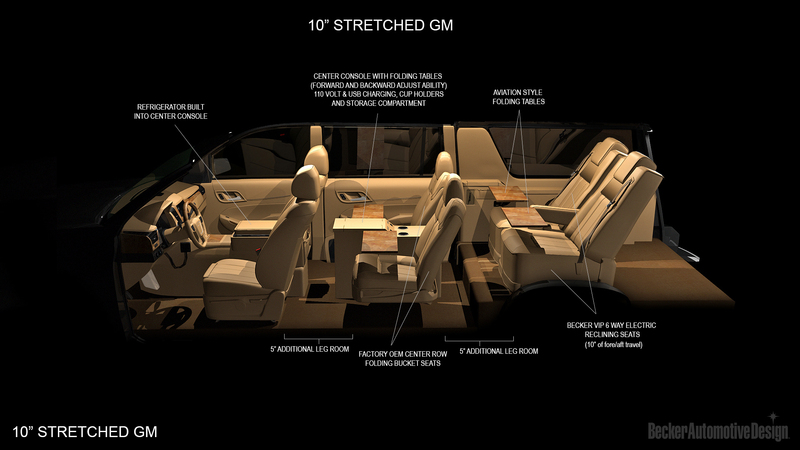 To this end, and with safety foremost in our minds, we will do everything possible to meet special requests. 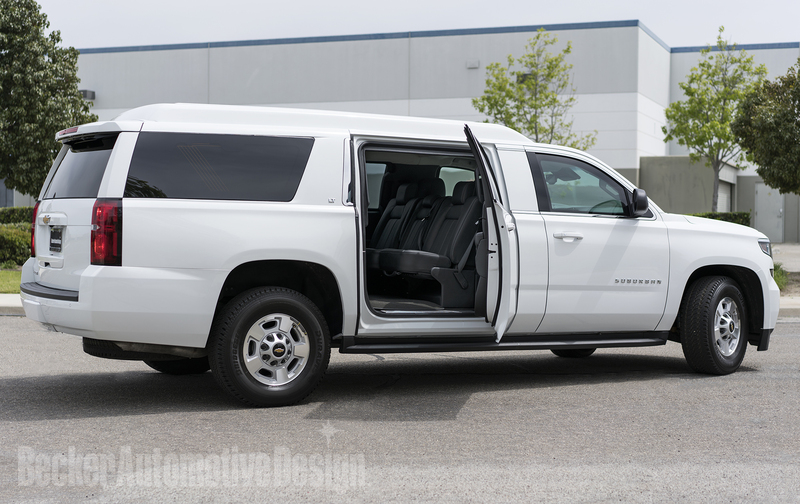 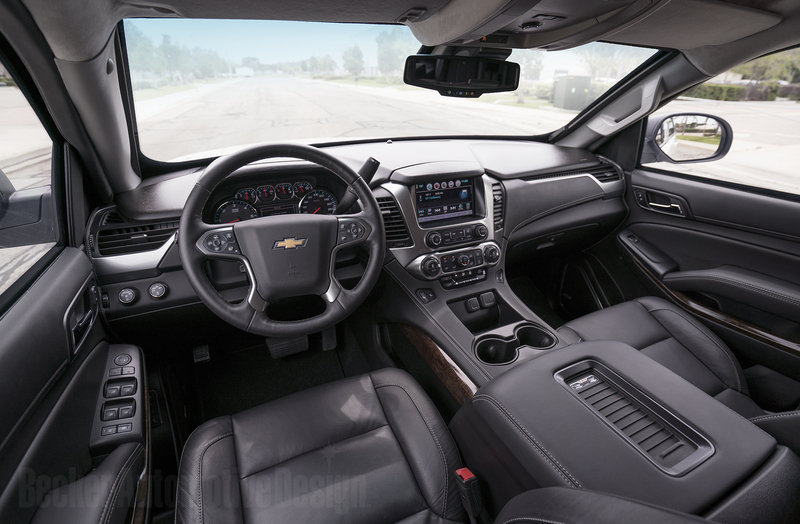 We are intensely proud of our employee's skill levels, including our engineering and design personnel, electronics technicians, projects and metal fabrication workers and our incredible interior artisans. 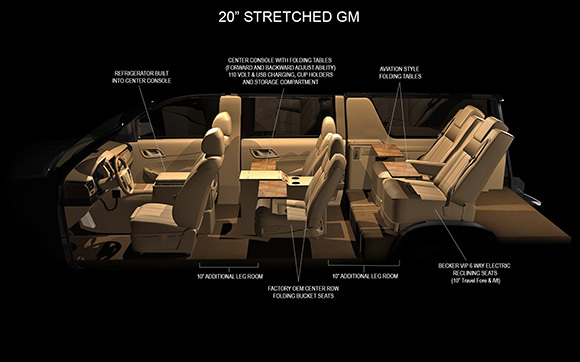 We are also greatly honored and challenged to combine our expert's skills and talents to serve your special needs. 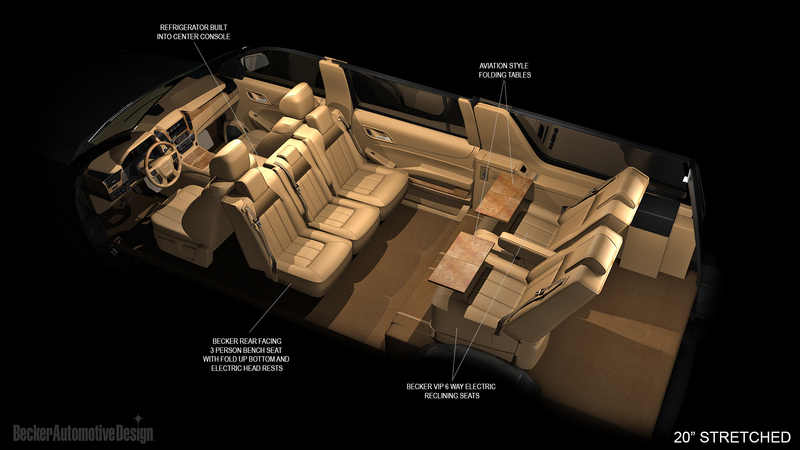 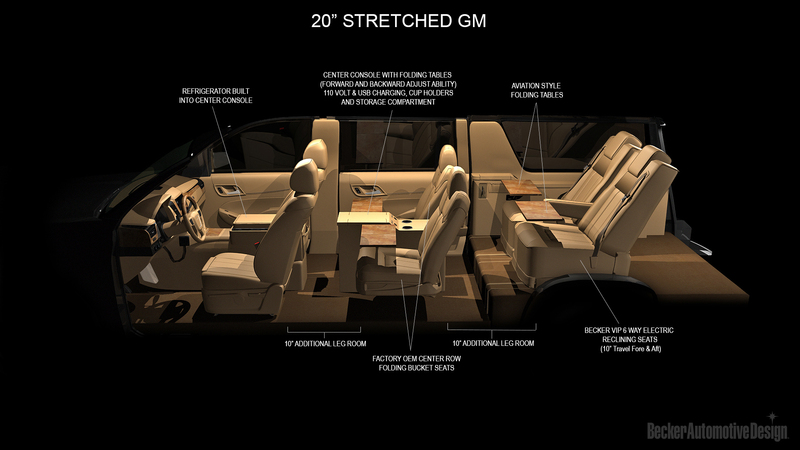 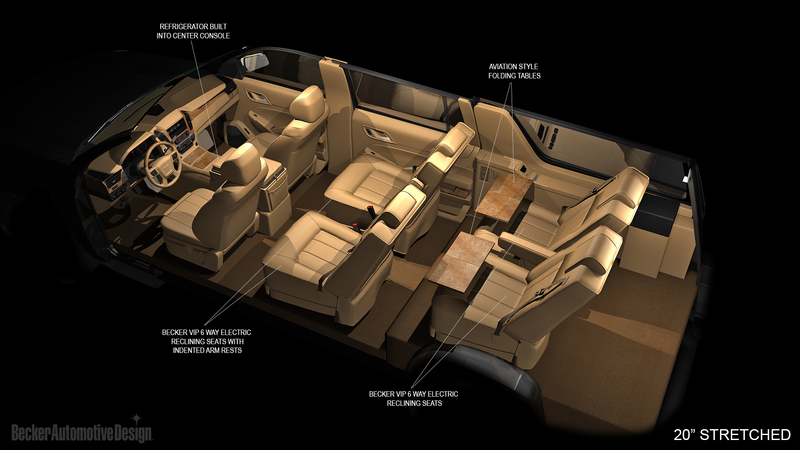 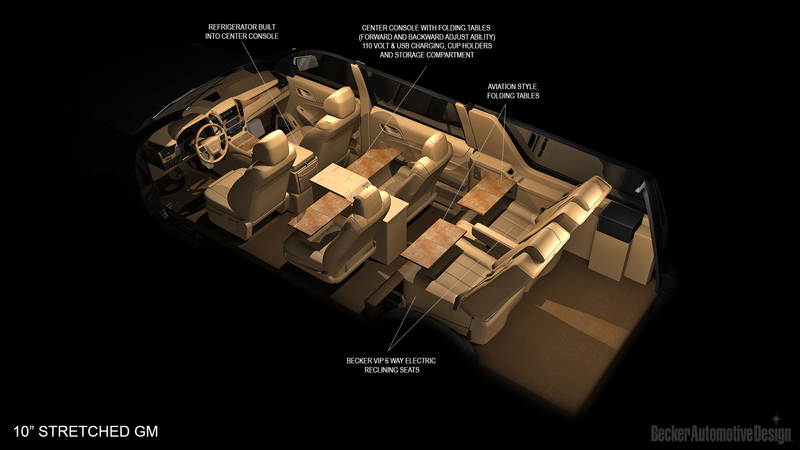 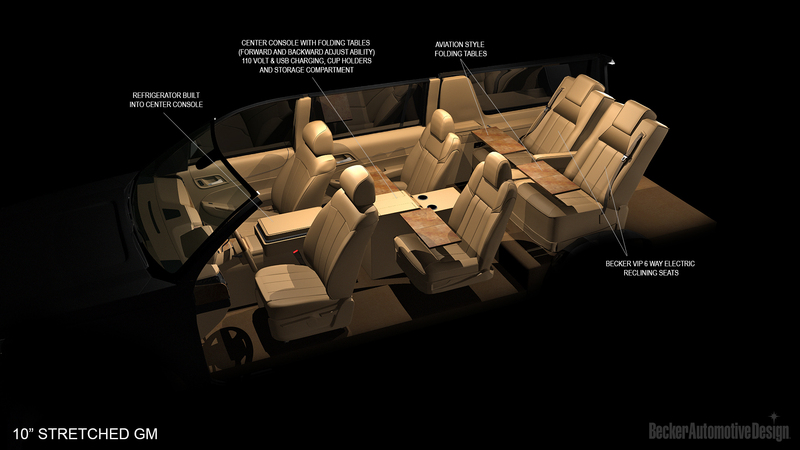 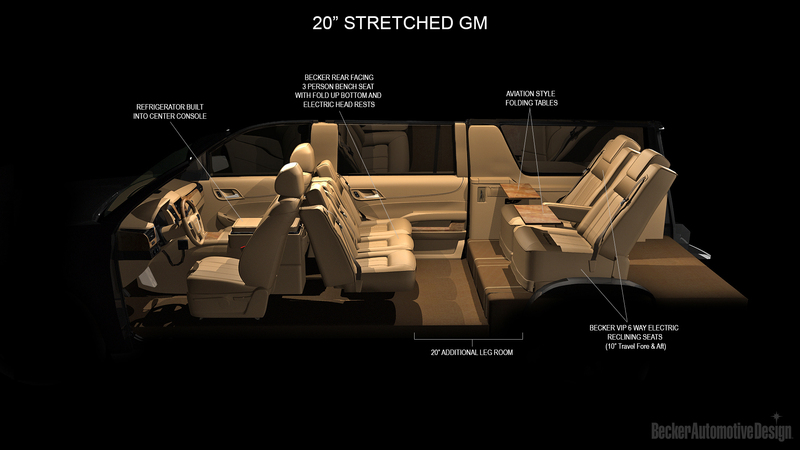 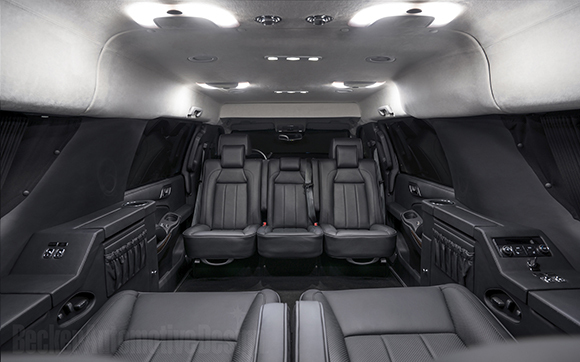 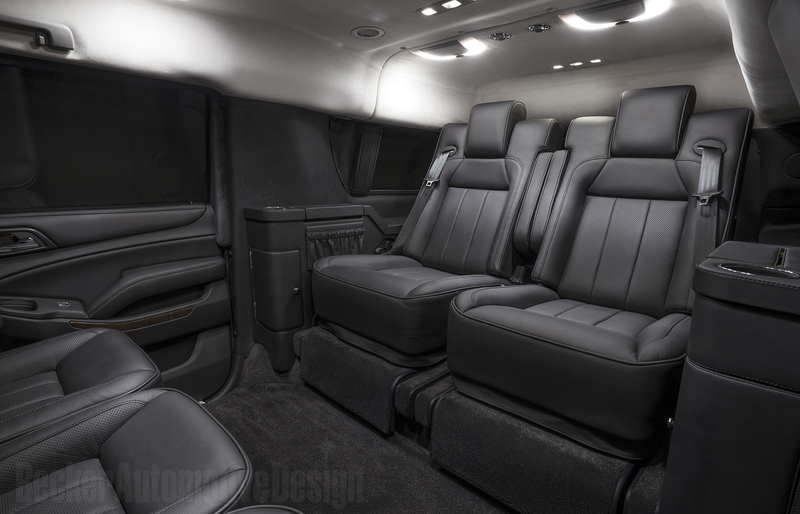 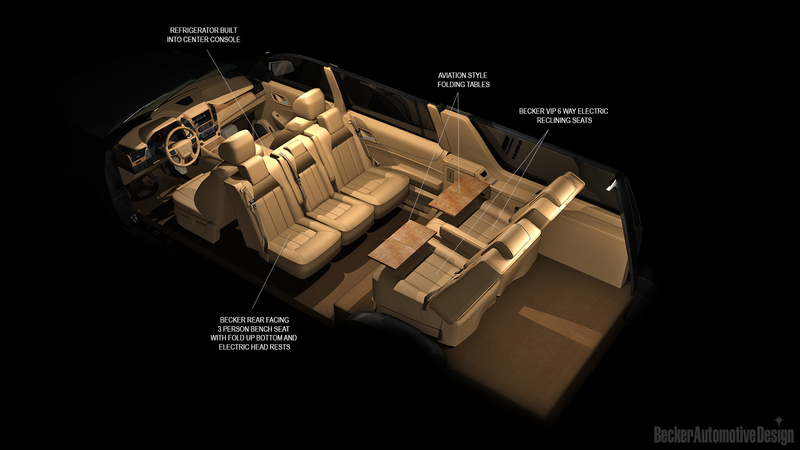 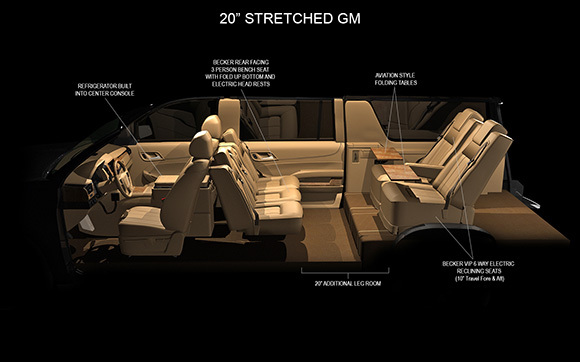 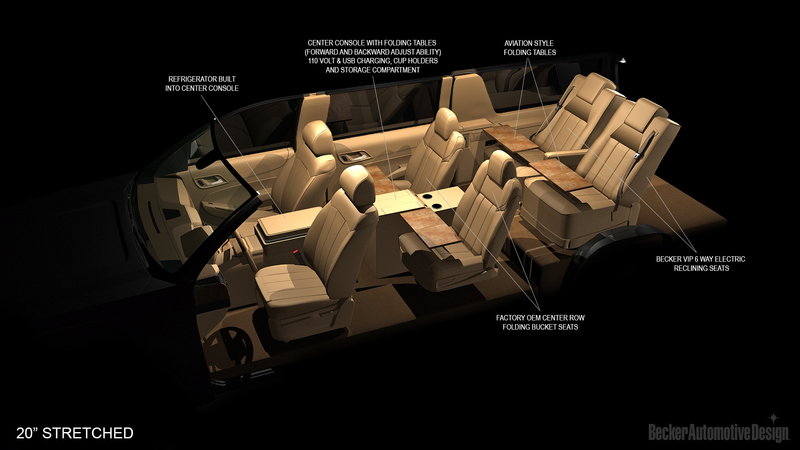 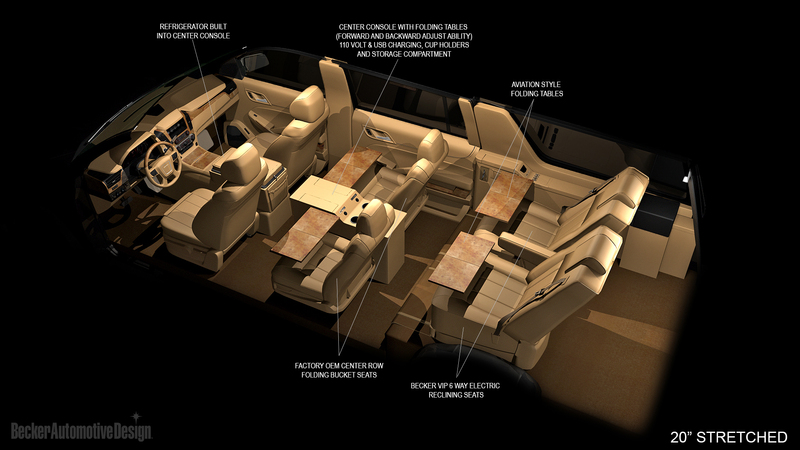 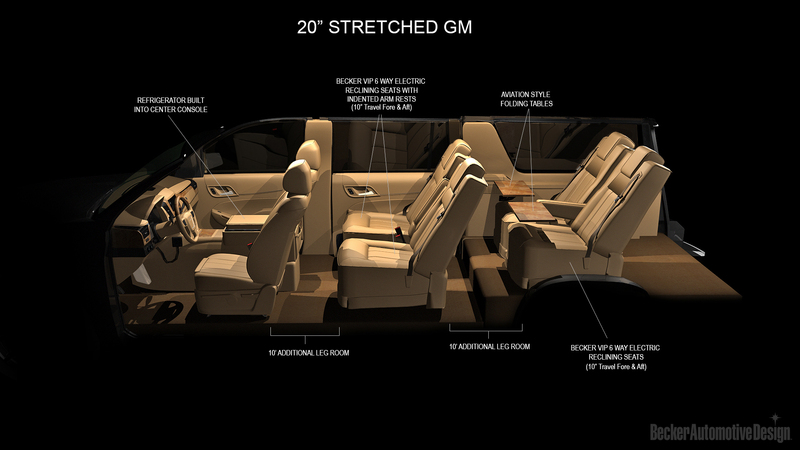 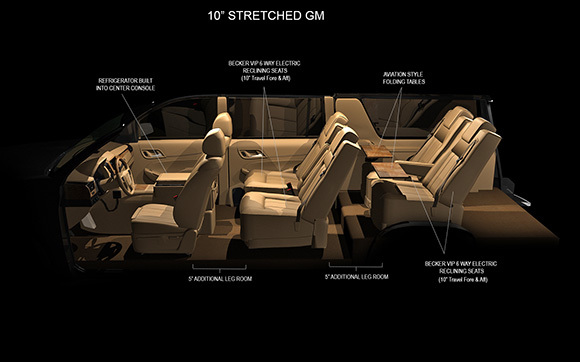 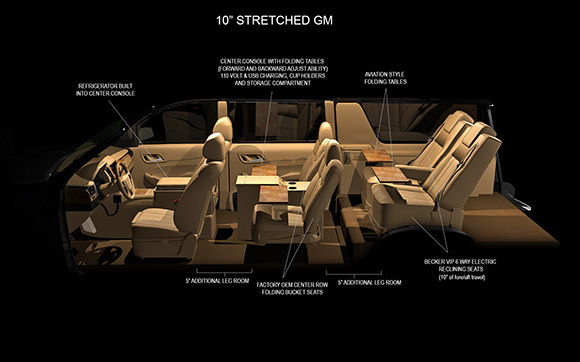 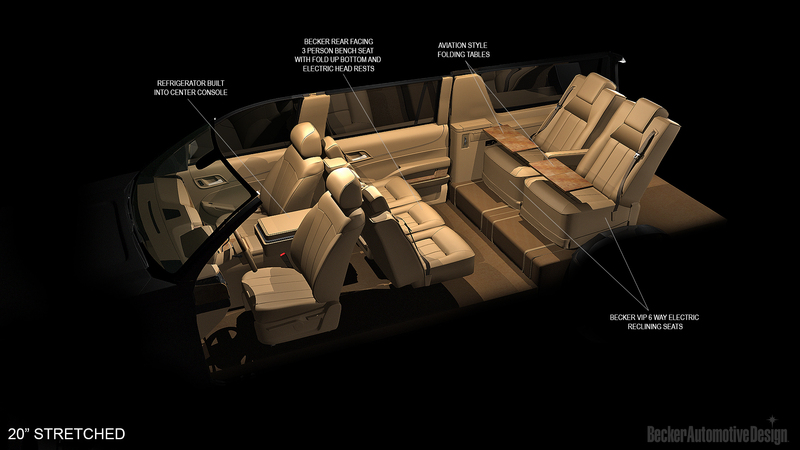 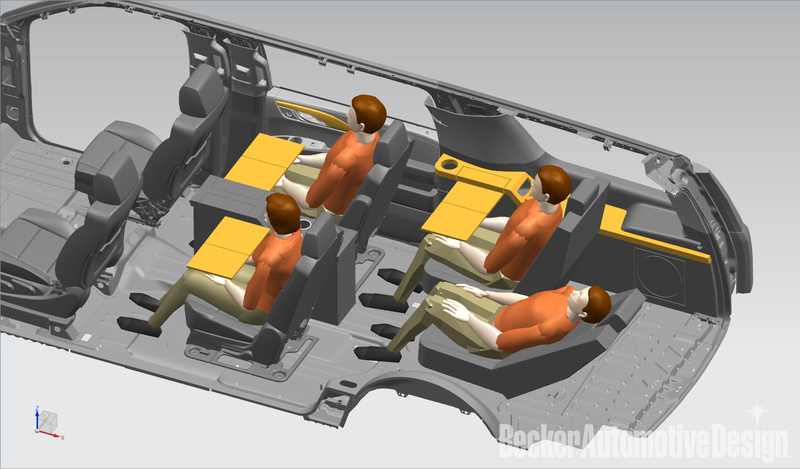 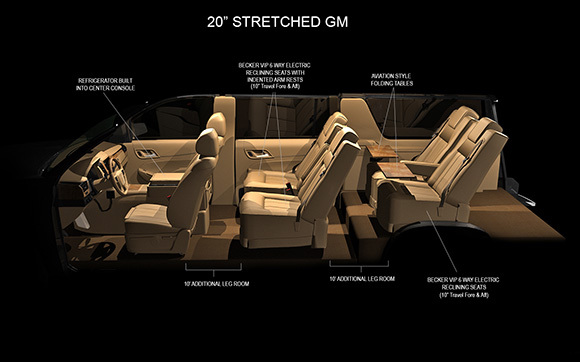 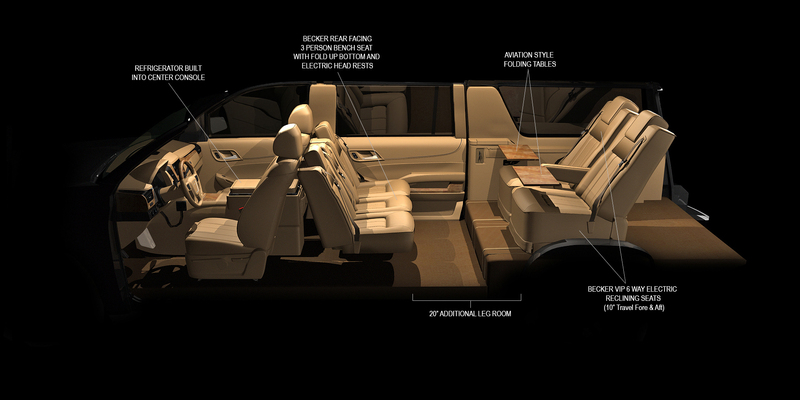 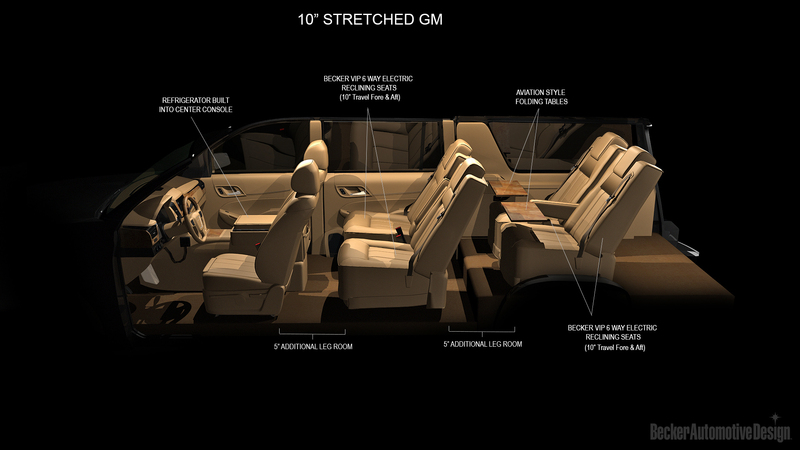 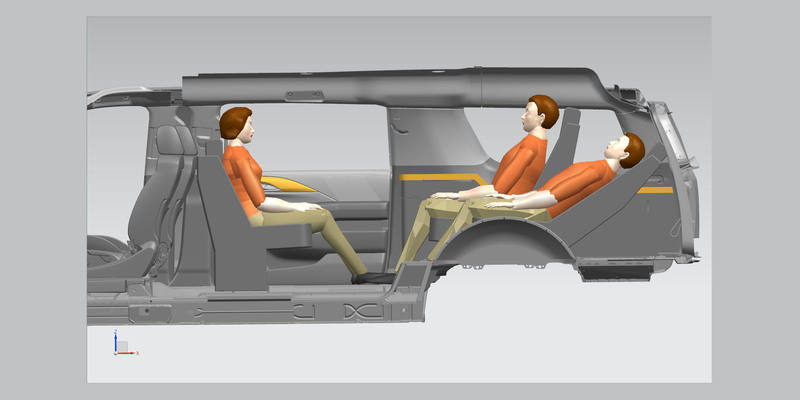 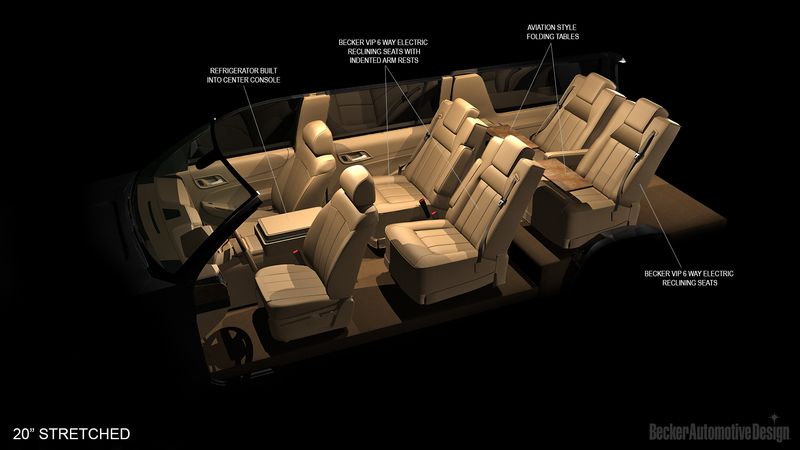 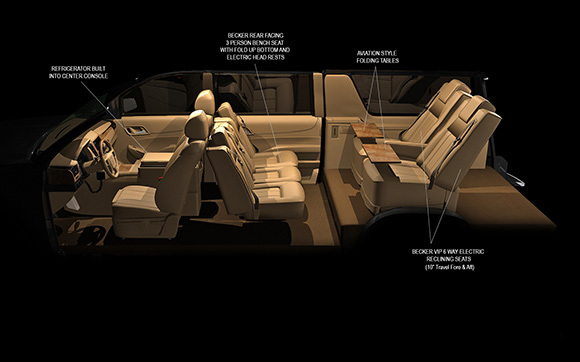 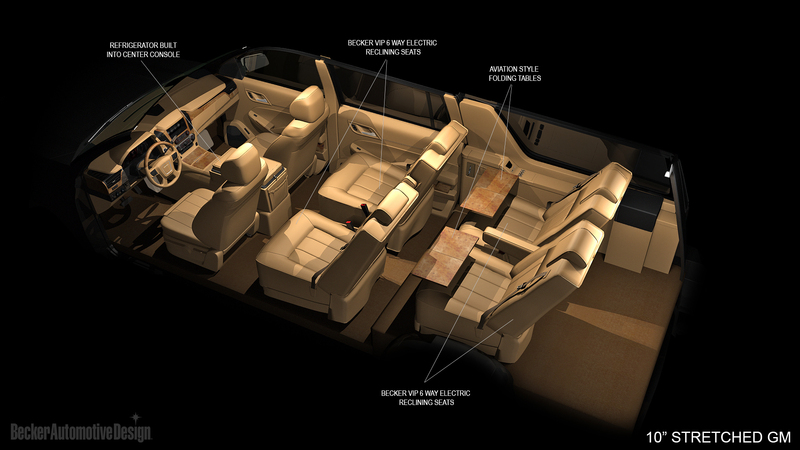 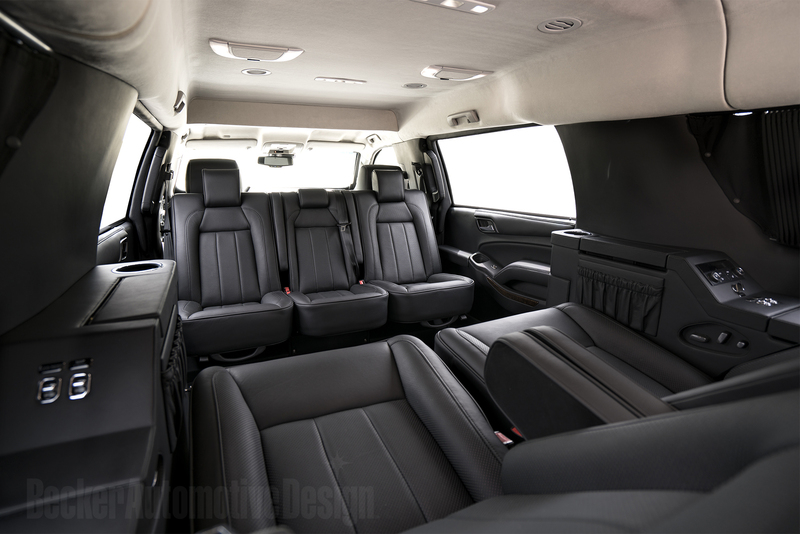 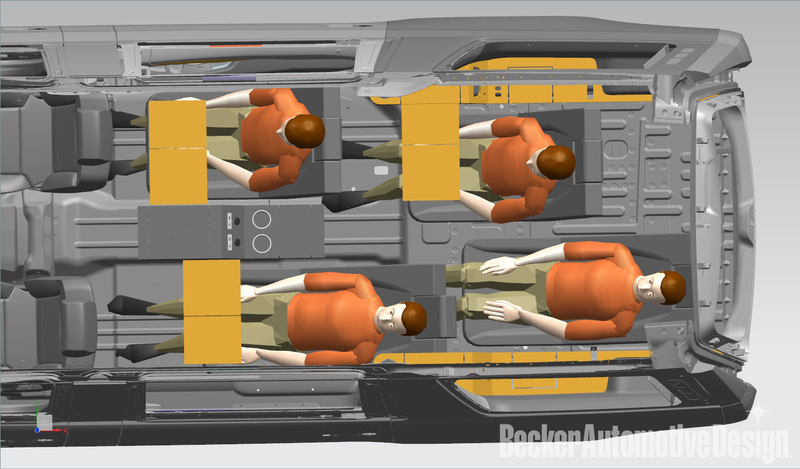 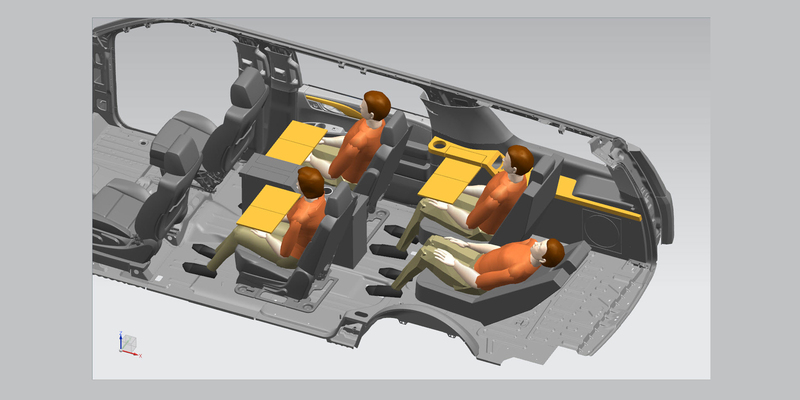 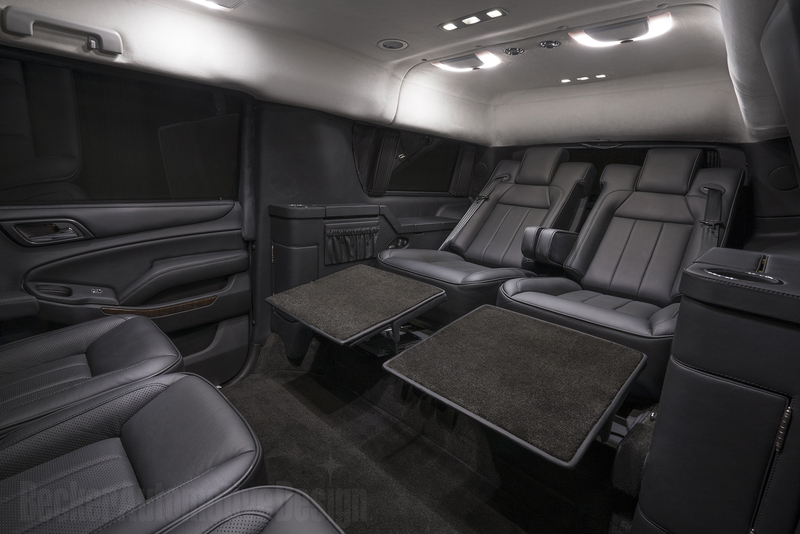 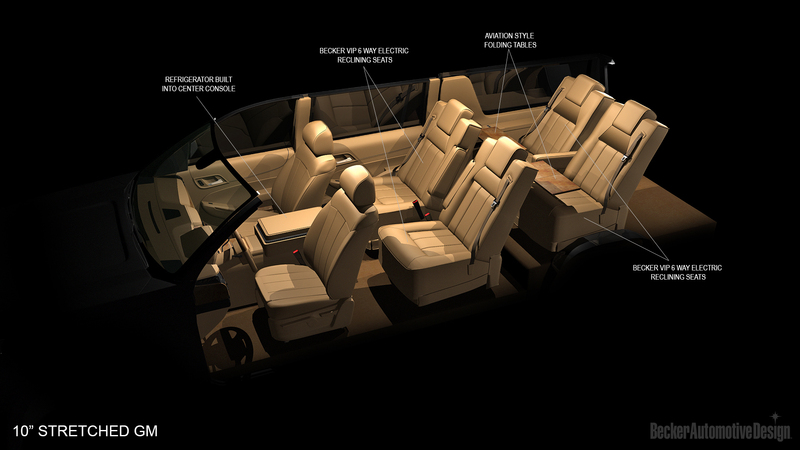 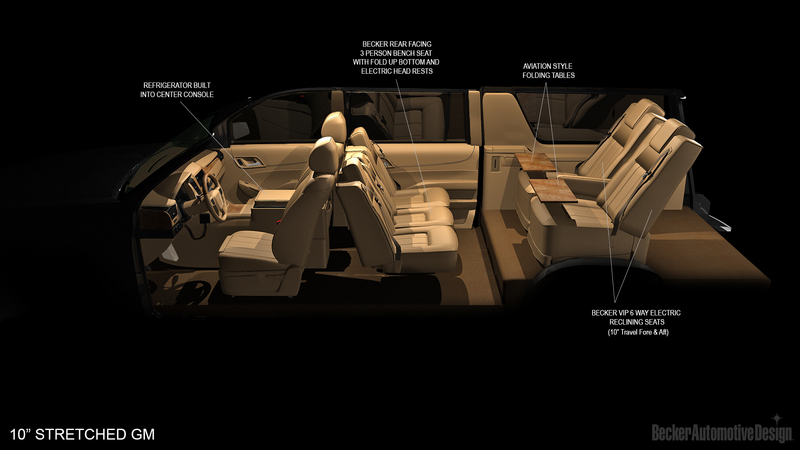 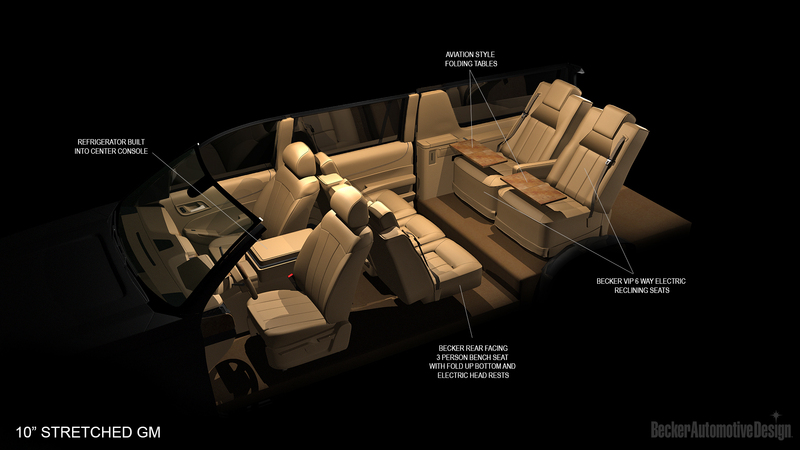 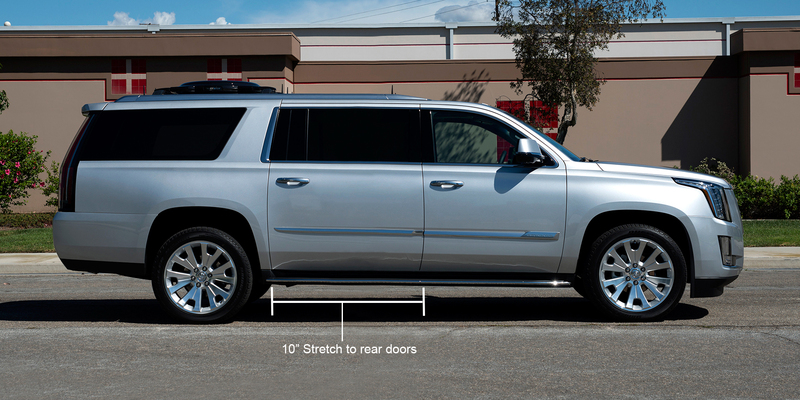 Here are some specially designed floor plan options to create additional leg room and a more functional interior cabin.